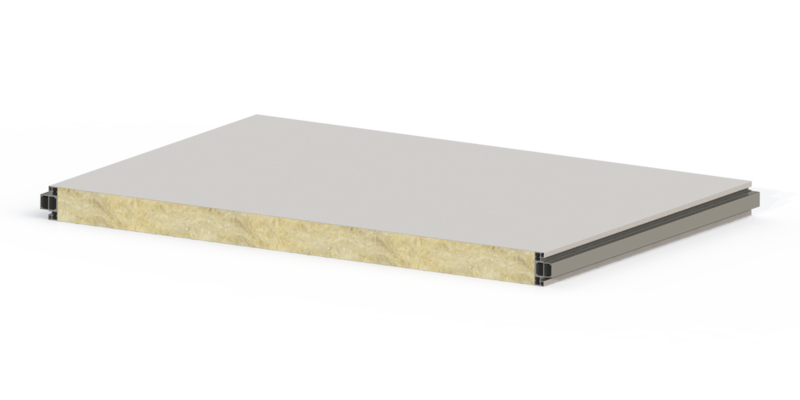 Sandwich panels insulated with glued mineral wool, with aluminum perimeter frame used for the creation of clean rooms. The junction system with an aluminum profile always ensures perfect and aligned assembly of the walls. The use of mineral wool ensures excellent reaction to fire.